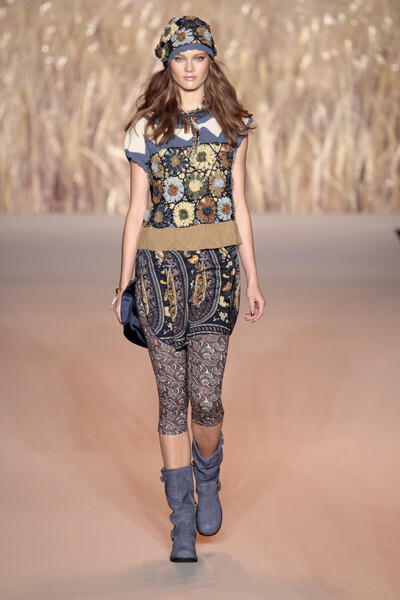 The Anna Sui fashion show was all about Little House on the Prairie. The backdrop of the show was that of a wheat field with a small house on it. The clothes felt boho-chic and farm-ish, but you couldn’t describe them in one word. This probably was due to the fact that Anna took her inspiration from so many different sources. In her show notes she named musician Joni Mitchell, artist Thomas Eakins, singer Neil Young, painter Andrew Wyeth, album Ladies of the Canyon and painter Winslow Homer as her inspiration sources. She also added Holly Hobbie a fictive little girl from which the inspiration was obvious. Holly Hobbie wore the same kind of dresses as the models in the show and was often pictured with wheat in her hands, just like the models. 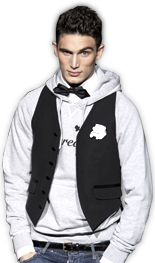 All clothes looked easy going and had a lot of aspects to focus on. Busy prints (paisley, floral, geometrical), lace, ruffles, embroideries and lots of different soft shades (indigo, lace, slate, ash, blue, nudes). 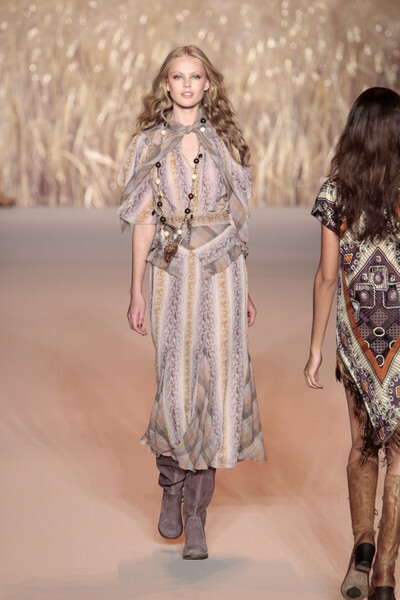 The long dresses, bell bottoms, round sunglasses, feather necklaces and headpieces made of wheat gave the show it’s seventies vibe. But Anna added just the right amount of funk to it, to make the collection feel modern and new.